Certified nursing assistants (CNAs) work under the supervision of a Registered Nurse (RN) or a Licensed Practical Nurse (LPN) to provide basic nursing care and assist patients or residents with the activities of daily living. They are responsible for personal care such as bathing, grooming, and feeding patients, checking and recording vital signs, cleaning and setting up medical equipment, keeping patients’ rooms clean, answering call lights, emptying bedpans, and providing vital social and emotional support to patients. Certified Nursing Assistants work primarily in long-term care settings such as adult day cares, personal homes, retirement communities, and nursing homes. They may also work in hospitals, clinics, physicians’ offices, and other health care settings. CNA classes in Georgia must cover a minimum of 85 contact hours of theory and clinical instruction to prepare students for the State Competency Exam for certification as a Certified Nursing Assistant. 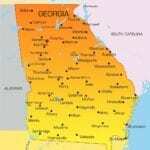 In 2016, there were 36,270 CNAs employed in Georgia. The annual mean wage for Georgia CNAs was $24,840 in 2016 according to the U.S. Department of Labor Bureau of Labor Statistics. The nursing assistant program at Sanzie Healthcare Services, Inc. includes everything adults need to provide direct care in acute and long-term care settings. The program is approved by the Georgia State so graduates are eligible to sit the competency exam to become Certified Nursing Assistants. The curriculum covers 85 hours of training including 24 hours of clinical rotation where students will provide patient care under the supervision of an approved registered nurse or licensed practical nurse. Course topics include safety and emergency procedures, communication, residents’ independence and rights, infection control, interpersonal skills, vital signs, observation and reporting, laws and ethics, nutrition, and hospice care. The duration of the program is 5 weeks to 2 semesters depending on the chosen class schedule. The day class meets Monday through Thursday from 9:00 am to 4:30 pm. The evening class meets Monday through Thursday from 6:00 pm to 10:15 pm. The clinical sessions are conducted on Fridays, Saturdays, and Sundays from 7:00 am to 3:00 pm or 2:00 pm to 10:00 pm. The cost of attendance is $890 and includes tuition, registration, books, and uniforms. Golden Age Healthcare Training offers a 12-day nursing assistant program that prepares students for success on the state competency exam. The program blends classroom theory with hands-on training in a skills lab and clinical rotation in accordance with state’s guidelines. Upon completion of the program’s requirements, students will benefit from on-site testing. They can also continue their studies to prepare for a career as a licensed nurse. Convenient day, evening and weekend classes are available to meet the busy schedules of adults. The day class meets Monday through Thursday from 8:30 am to 5:00 pm for 12 days. The evening class meets Monday, Tuesday, and Thursday from 5:00 pm to 10:00 pm for 18 days. The weekend class meets Saturday and Sunday from 9:00 am to 5:30 pm for 12 days. Course topics include but are not limited to infection control, the role of the nurse aide, law and ethics, patients’ rights, patients’ independence, infection control, nutrition, personal care, basic nursing skills, and mental health. Tuition includes textbook and workbook, background check, insurance, CPR/First Aid, and practice sessions for the competency exam. Active Assist Care facilitates an 88-hour nursing assistant program to prepare students for the state competency exam. The curriculum combines classroom theory with practical learning experiences and includes communication and professionalism, safety and emergency procedures, infection control, caring for the mentally impaired, basic nursing skills, personal care, patients’ rights and independence, rehabilitation and restorative techniques, and care for the dying. As part of the curriculum requirements, students will participate in direct patient care in a local nursing facility for three days. Day and evening programs are available. The day and evening schedules meet Monday through Thursday for 4 weeks. The Graduates will be eligible to apply for the state exam to work in nursing homes, assisted living facilities, home healthcare, and hospitals. Tuition costs $550 and includes lab supplies and liability insurance. Additional costs include textbook rental, uniform, CPR/First Aid, state exam fee, and TB skin test. Shadow Nursing offers a State Approved Certified Nurse Aide Training program that prepares students to assume an entry-level position in acute and long-term care settings. Graduates will receive a Certificate of Completion and will be eligible to sit for the State Competency Exam to become Certified Nursing Assistants. The program combines classroom theory with supervised clinical experiences in a long-term care facility. Areas of study include infection control, anatomy and physiology, medical terminology, basic nursing skills, personal care, positioning and transfers, laws and ethics, vital signs, and hospice care. The course fee is $725. The state exam fee is$112. NV Enterprises CNA certificate program is approved by the Georgia Medical Care Foundation (GMCF). Graduates are eligible to sit for the National Nurse Aide Assessment Program (NNAAP) examination to become Certified Nursing Assistants. Experienced instructors combine theory and hands-on experiences and emphasize patient-focused care that adheres to OBRA guidelines. 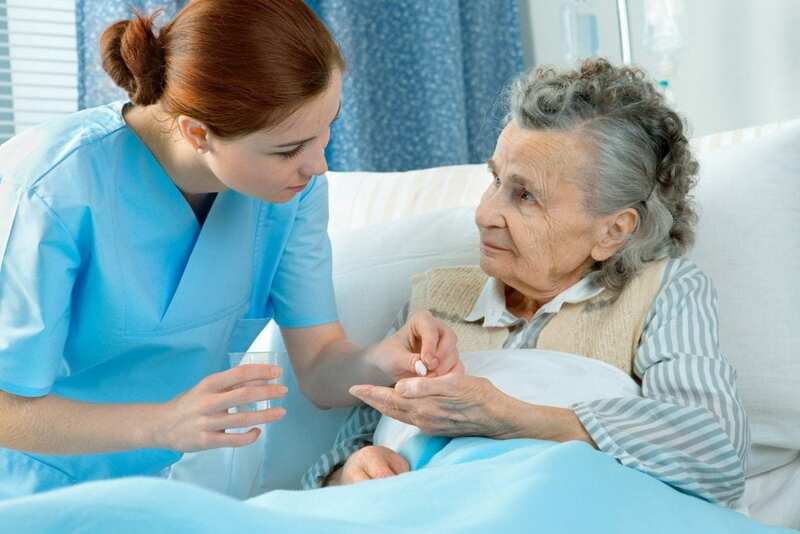 A clinical rotation conducted in a long-term care facility will cover 24 hours of supervised patient care and will reinforce the classroom theory. Course topics include infection control, observation and reporting, vital signs, anatomy and physiology, medical terminology, basic nursing skills, personal care, range of motion exercises, laws and ethics, and death and dying. Day and evening classes are available. The day class meets Monday through Thursday for 4.5 weeks. The evening class meets Monday through Wednesday for 5 weeks. Faks Allied Health Center prepare adults for a career as a nursing assistant in just four weeks. The program admits adults with no experience in health care and prepares them for an entry-level position in acute and long-term care facilities. Students will learn and demonstrate resident rights, turning and positioning, total patient care, CPR, taking vital signs, infection control, nutrition, safety and emergency procedures, communication and interpersonal relations, medical terminology, anatomy and physiology, and Alzheimer’s care. Apart from lectures and demonstration in the classroom, students will have opportunities to develop clinical skills in a long-term care facility during the supervised clinical experience. Day, evening and weekend classes are available. The duration of the program ranges from 4 to 7.5 weeks based on the schedule. The nursing assistant program at GA Healthcare Training Center prepares adults to provide quality care to residents or patients in nursing homes and hospitals. The curriculum covers 89 contact hours of theory and hands-on instruction. Experienced instructors use class discussions, DVDs, skills practice, and role-playing to emphasize patient-centered care. The clinical rotation will occur at the final week of the class and will provide opportunities to care for patients in a real-world setting. Course topics include rehabilitation and restoration, anatomy and physiology, medical terminology, mental health, safety and emergency, nurse aide role and responsibility, infection control, law and ethics, and personal care skills. GA Healthcare offers students small class sizes, experienced instructors, and the opportunity to complete the program in just 5 weeks. Tuition costs $750. Additional costs include textbook, scrubs, stethoscope and blood pressure kit, and state certification exam.